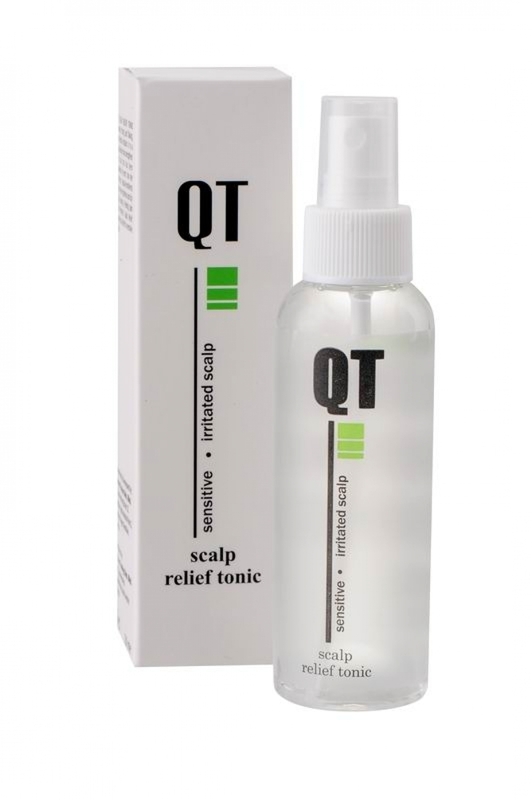 QT Scalp Relief Tonic removes itching and flaking, and inhibits irritation. It is a scalp defense that strengthens the scalp that has been weakened by perm, hair dye and stress. Natural emollients helps relieve tightness and dry scalp, leaving it feeling calm and refreshed. Scalp Relief provides fast relief for sensitive scalp. Part hair section by section. Apply a few drops directly to scalp. Spread using fingertips. Massage for 3 minutes. Treat the more afflicted areas by repeated application. Use QT Scalp Relief Tonic regularly to gradually revitalize your hair. Within 6 weeks, you should have a much healthier growth of hair.